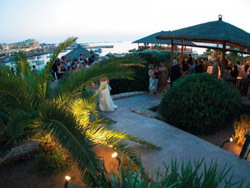 The Exotic Pool Club is an oasis of peace and serenity surrounded by unspoilt countryside which makes it unique and one of the most spectacular wedding locations in the Maltese Islands. 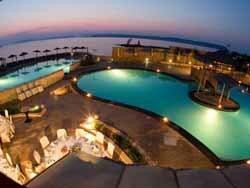 The extensive sea views of the beach club stretch till the horizon. 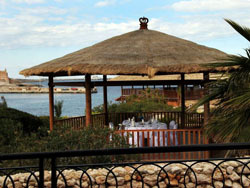 This venue is ideal for a sunset wedding as the colourful summer Maltese sunset occurs just in front of your eyes. Also the couple can opt to get married on a private sandy beach which is available daily after 7pm. 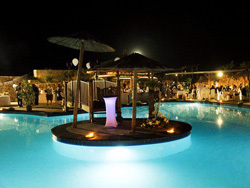 Various areas of the Exotic Pool Club can be used for various sized weddings. 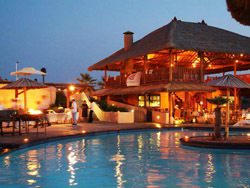 The shack which is located on high grounds above the pool area can be used for up to fifty seated guests. The two gazebos which are surrounded by lush vegetation can be used for a small intimate wedding of about twelve guests seated or else can be used for a stand up reception for up to fifty guests. 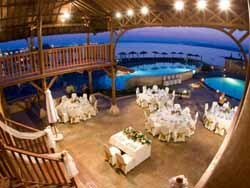 The pool area which is located a stone throw away from the sea can be used for larger weddings of up to two hundred guests. Finally the private sandy beach can be used for a dream beach civil wedding as well as an informal beach wedding barbeque. 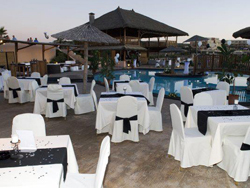 Catering for the Exotic Pool Club: Our top class caterer for this venue can craft a customised wedding menu suited for your needs. This catering team is very dedicated towards customer satisfaction and they will ensure that all your catering needs are met with ease. Wheather a small intimate wedding or a big lavish wedding, this caterer is well equipped to meet and exceed your culinary requirements. Entertainment at the Exotic Beach Club: We have teamed up with various artists who can entertain you during your wedding reception.  Once you decide on the area where to carry out your wedding function, one of our dedicated wedding planners will recommend you the entertainment options recommended for you.